When Zetas boss Miguel Angel Treviño Morales was captured in Nuevo Leon last month, Mexican authorities were able to pinpoint his location and track his movements in real-time from hundreds of miles away. The use of an unmanned aerial vehicle – more commonly known as a drone – supplied by the U.S. government was reportedly instrumental in the arrest. This was not just an example of continued U.S.-Mexican cooperation in the war on drugs, but also evidence of the growing role that drones play in south-of-the-border intelligence operations. The U.S. Customs and Border Protection (CBP) agency has been openly using drones to patrol the frontier with Mexico since 2005, but the somewhat secretive use of drones over Mexican territory is a more recent phenomenon. One of the most controversial aspects of the Barack Obama administration’s foreign policy has been the use of drones in the assassination of foreign citizens, without trial or any legal justification. Remote-controlled from thousands of miles away, drones have become the U.S. government’s weapon of choice when targeting terror suspects in the Middle East and Africa, despite the significant collateral damage such strikes cause. The Bureau of Investigative Journalism estimates that drone strikes have killed 2,514 to 3,584 people in Pakistan since 2004. Of the victims, 410 to 928 were civilians, including 164 to 195 children. Another 1,112 to 1,493 have been injured in Pakistan, while hundreds more have died in drone strikes in Afghanistan, Somalia and Yemen in recent years. In May, the White House even admitted to having killed four U.S. citizens – one of them a 16-year-old boy – in Yemen and Pakistan since 2009. While the United States has also been operating drones in Mexico for several years, this has not been as widely reported because – unlike in the Middle East – the drones are unarmed and invited by the Mexican government. 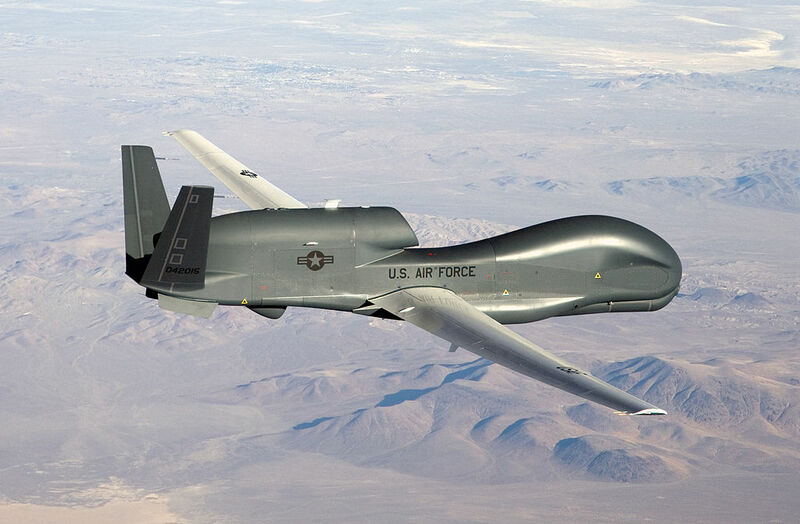 In March 2011, the New York Times first reported that the United States had begun flying unarmed Globe Hawk drones (unmanned spy planes that cost a staggering 223 million dollars apiece and can survey about 40,000 square miles of territory a day from an altitude of over 60,000 feet) over Mexican skies the previous month, with the aim of collecting information on drug gangs to turn over to Mexican law enforcement agencies. Most notably, in February 2011, a U.S. drone had been deployed to help Mexican authorities find suspects linked to the killing of Jaime Zapata, a U.S. Immigration and Customs Enforcement agent who was murdered by members of Los Zetas on the Mexico-Queretaro highway. President Obama and his then Mexican counterpart Felipe Calderon formally agreed to continue the surveillance flights during a White House meeting in March 2011. The same month, the Associated Press reported that the CBP had quietly been flying four unarmed Predator drones (which fly at around 18,000 feet and cost about 18 million dollars each) into Mexico since early 2009, again in order to help Mexican authorities spy on suspected drug traffickers. These surveillance flights were approved and supervised by the Mexican government but had never been announced by either country. The presence of U.S. drones over Mexican territory was criticized by some opposition politicians in Mexico – many here remain sensitive of any perceived attempt by their northern neighbors to undermine Mexico’s national sovereignty – yet the news has received relatively little attention in the Mexican press. Despite the recent revelations that the U.S. government has been spying on the Mexican embassy in Washington and tapping into phone and internet communications within Mexico – practices that President Enrique Peña Nieto slammed as “unacceptable” last month – Mexicans seem either unconcerned or unaware that a foreign government could be watching their every move. In an apparent bid to lessen its reliance on the United States, Mexico has sought to bring in drones of its own. The Navy’s Institute for Technology Innovation has been developing three drone types for use in intelligence and reconnaissance missions, while the Mexican government purchased an unknown number of Hermes drones from Israel in 2009 and again in 2012. While these developments do decrease dependency on the United States to some extent, Mexico’s drones lack the range or high-resolution capabilities necessary for certain surveillance activities. 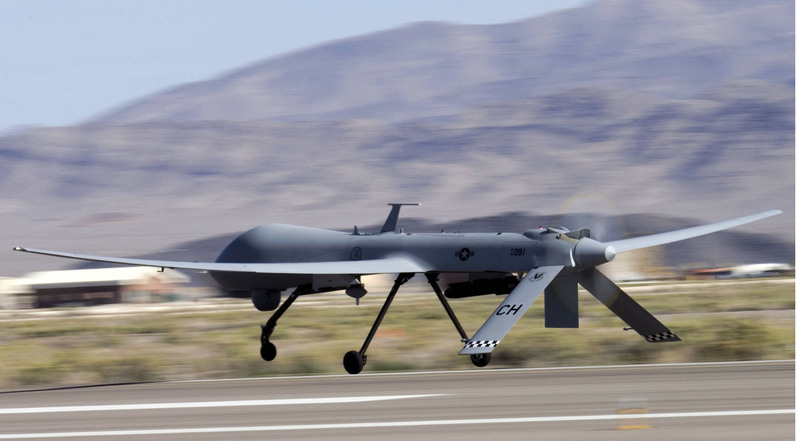 It is unlikely that U.S. drones will leave Mexican airspace any time soon. U.S. drones are most commonly used in Mexico for border patrol purposes. The CBP now has a fleet of seven Predator and three Guardian (the former’s maritime variant) drones equipped with powerful radars that enable those controlling them to pick out illegal immigrants or drug-traffickers attempting to cross the border beneath them. Yet with millions of people crossing the border on a daily basis, serious doubts have been raised over the cost and effectiveness of using drones, despite their technical capabilities. According to a 2012 Center for International Policy report, surveillance from drones has led to just 0.001 percent of total borderland arrests since 2006. Similarly, drones played a role in only 0.003 percent of marijuana seizures along the border from 2006 to 2012. Such statistics notwithstanding, the CBP is pushing to expand its fleet from 10 to 24 drones, while there have also been calls for drones to patrol the border 24 hours a day. This would come at huge expense to the American taxpayer, given that it costs around 3,000 dollars an hour just to keep one drone airborne – and according to the Migration Policy Institute think-tank, border enforcement already costs 18 billion dollars a year, more than all other federal law-enforcement agencies combined. An increase in the number of drones also seems unnecessary because the current fleet is already underused. In May 2012, the Department of Homeland Security – the CBP’s parent agency – published a report on border-drone program management which revealed that the drones were only flying just over half of their scheduled mission hours. Regardless of such details, the number of drones patrolling the border looks set to increase. Last month the U.S. Senate passed a comprehensive immigration reform bill which would dedicate 4.5 billion dollars to border security, doubling the number of border patrol officers to 40,000, increasing the amount of fencing, and introducing additional drones, helicopters and other surveillance technology. The bill will now be presented to the House of Representatives, where its prospects are uncertain as many Republicans want even tougher measures to prevent illegal immigration. Not all drones are used for military or law-enforcement purposes. While the commercial use of drones is currently prohibited in the United States, there is no such regulation in Mexico, where engineers have begun developing the technology for commercial and scientific purposes in recent years. Researchers at the Center for Research and Advanced Studies of the National Polytechnic Institute (CINVESTAV) have been building drone prototypes since 2007 for surveillance and security use, with an eye toward commercial production. Meanwhile, 3D Robotics has achieved great success manufacturing drones in Tijuana since 2009, for use in agriculture, search and rescue, wildlife management, mapping and video production, environmental science and medical and human rights applications. Most recently, Spanish firm Nitrofirex has developed a line of civilian drones designed to fight forest fires in Mexico. Launched from transport planes, the Nitrofirex drones are equipped with a sophisticated guidance system that enable them to locate fires and disperse large quantities of liquid before returning to base. Whether you consider them indiscriminate killing machines, necessary surveillance tools or practical problem-solvers, it seems clear that we will all be seeing a lot more of drones in the near future – or will they be seeing a lot more of us?